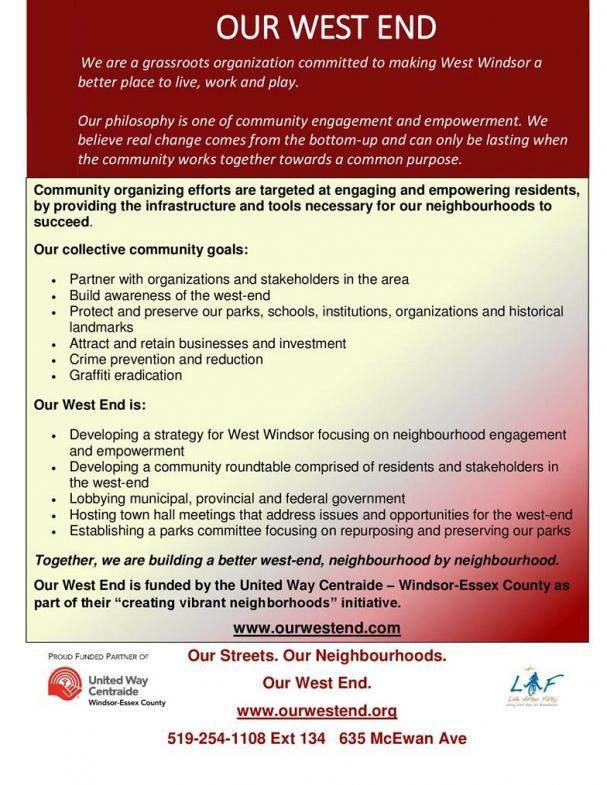 Our West End is a grassroots organization committed to making West Windsor a better place to live, work and play. 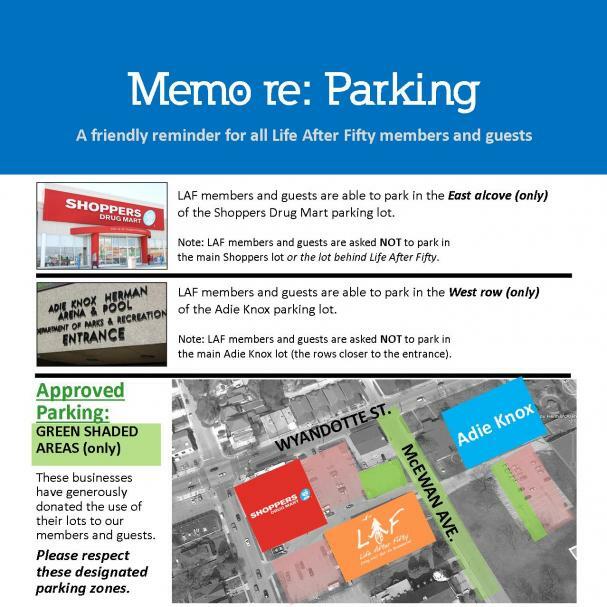 A friendly reminder for all LAF members and guests about parking at the West SIde Centre. We will re-open at 8:30am on Tuesday, September 8th.